A delegation from International Islamic Federation of Student Organizations (IIFSO) headed by Secretary General Dr. Ahmed Abdelatti visited SESRIC on 14 April 2012. Mr. Hüseyin Hakan Eryetli, Director of Training and Technical Cooperation Department of SESRIC, received the delegation. At the outset, Mr. Eryetli briefed the delegation regarding the activities of the Centre, in particular about the capacity building programmes and other initiatives under the Training and Technical Cooperation Department. Mr. Eryetli focused on SESRIC’s Skill Development for Youth Employment Programme and also informed the delegation regarding the future activities that are planned in youth related issues. 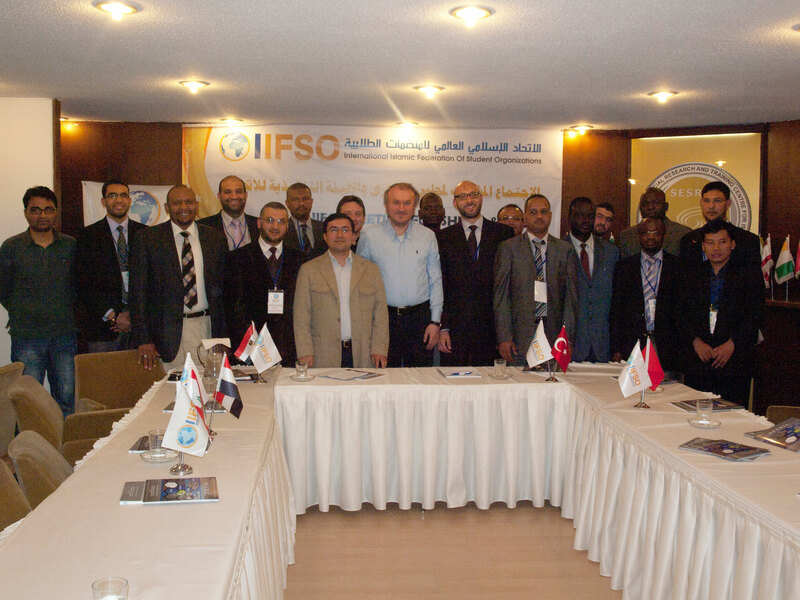 On his part, Dr. Abdelatti, expressed his thanks to Mr. Eryetli for his warm receiving of the delegation and informed him about the activities of IIFSO. He emphasized the importance of NGOs about youth related issues and said that NGOs has a role of a bridge between the youth and the government. The delegation later discussed the cooperation possibilities between SESRIC and IIFSO.